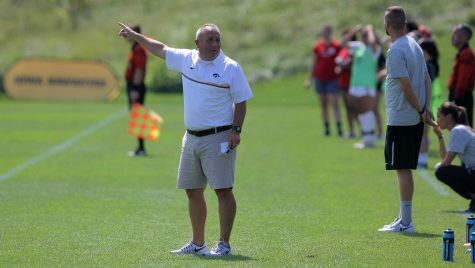 A by-the-numbers look at Iowa soccer’s success early in the season. 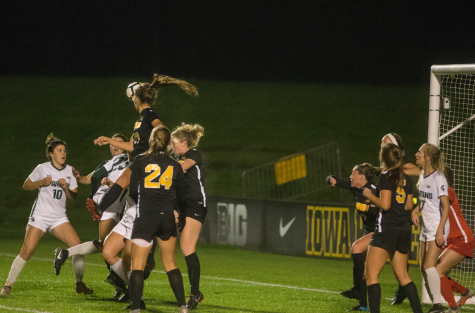 The Iowa soccer team is off to a strong start, and there are several reasons for that. This number seems almost high considering the Hawkeyes have allowed only 3 goals this season. Granted, they have played just seven matches. However, four have been shutouts, bringing senior goalkeeper Hannah Clark’s career total up to 24. 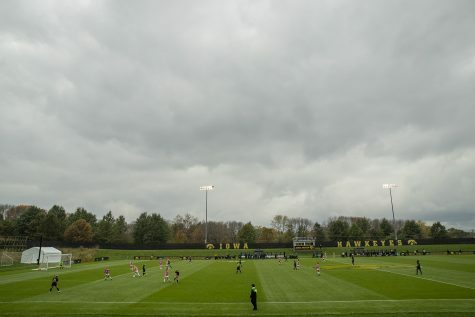 The goals against average ranks fourth in the Big Ten, behind Rutgers, Minnesota, and Northwestern. If Iowa can shut out its next opponent, the team will have cut last season’s average in half and then some. 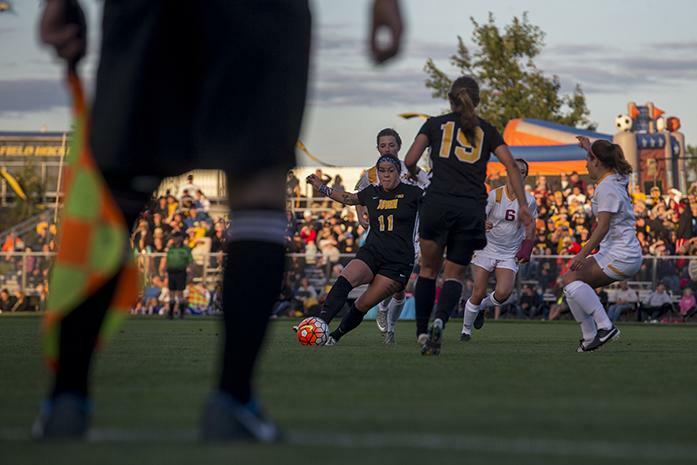 In 2014, the Hawkeyes allowed 0.77 goals per game, which landed them in fourth in the Big Ten. If numbers were able to help in real games, this one would come in handy with the upcoming matches against Michigan and Michigan State. 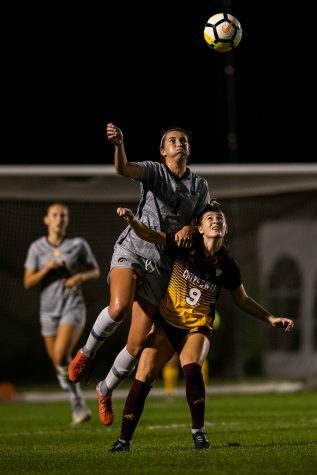 The Wolverines average 2.75 goals per game, and the Spartans hit 1.75 a game. 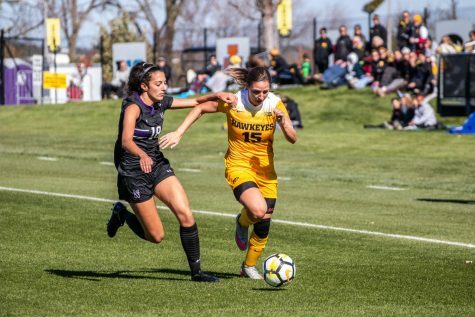 Keeping its average where it is may be a challenge for Iowa, but with a defense including juniors Rachele Armand and Amanda Lulek, freshman Kyrie Seying, and Clark, it could be possible. As a team that has repeatedly stressed the importance of carrying its first-half energy into the second half, this number could be worrisome heading into Big Ten play. Aside from Iowa State, the Hawkeyes did not face any teams that were exceptional. 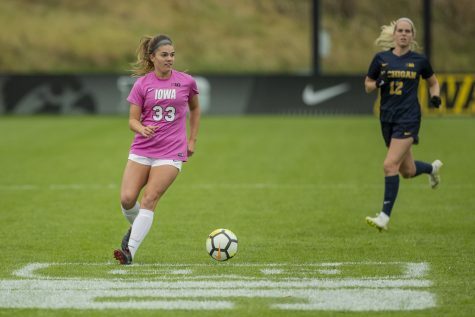 That the shots allowed nearly doubles in the second half either means that the opponents Iowa faced got better toward as the game progressed or the Hawks were unable to keep the energy up in the second half. Those extra shots have led to extra goals for Iowa’s opponents, too. 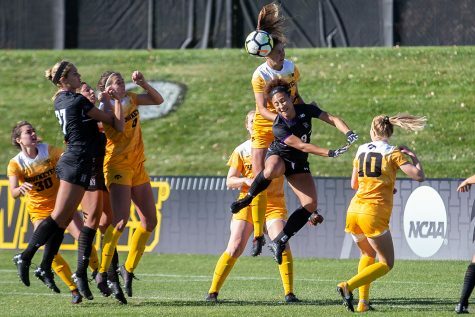 Yes, the defense has only allowed 3 goals this season, but two of those have come in the second half against Northern Iowa — Iowa was able to scrape up the win in overtime — and Montana, which gave Iowa its only loss. Considering nearly half of the Big Ten takes most of its shots in the second half, Iowa will have to work on defending harder in order to keep the ball on offense as to avoid any breakdowns. Only three players listed on Iowa’s roster have not played any minutes yet this season. 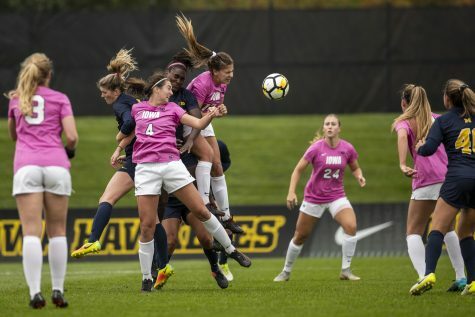 Two are backup goalkeepers to Clark, and they will most likely not see game time in the near future considering the season the senior is having, and the other is junior Natalie Krygier, who is injured but has been practicing and preparing to get in a game soon, said head coach Dave DiIanni. With a team as young as Iowa is — only 10 players are upperclassmen — it has to be good for DiIanni to be able to play a bench so deep and see the underclassmen put up a fight. Toward the middle of the season, legs may start to get tired for those seeing a lot of minutes, and being able to pull from 15 non-starters will keep the Hawkeyes fresher for longer.